Jared Huffman was born on February 18, 1964, in Independence, Missouri. He earned a BA in political science from UC Santa Barbara in 1986, and a JD from Boston College Law School in 1990. In 1988 Huffman volunteered for Democrat Senator Paul Simon’s presidential campaign, and three years later he was a member of the Northern California steering committee for Barbara Boxer‘s U.S. Senate bid. Professionally, Huffman was an associate attorney and/or managing partner with three law firms between 1990 and 2001, and was a senior attorney for the Natural Resources Defense Council from 2001-06. 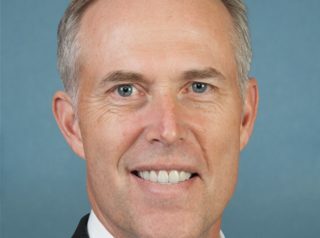 After subsequently serving six years in the California State Assembly, Huffman was elected in November 2012 to represent California’s 2nd Congressional District in the U.S. House of Representatives. He continues to hold this seat and is a member of the Congressional Progressive Caucus. Huffman supported President Barack Obama‘s executive amnesty orders — i.e., “Deferred Action for Childhood Arrivals” (2012) and “Deferred Action for Parental Accountability” (2014) — which together shielded millions of illegals from potential deportation. Huffman was one of dozens of Congressional Democrats who elected to boycott the January 20, 2017 inauguration of President-elect Donald Trump. To view a complete list of those who chose to boycott the event, click here. Amid growing calls by Democrats for the removal of Confederate symbols from public places across the United States, Huffman in July 2015 proposed a ban on even privately placed Confederate flags at Confederate grave sites in national cemeteries. For an overview of Huffman’s voting record on a variety of key issues, click here. Further Reading: “Jared Huffman” (Ballotpedia.org, Votesmart.org); Jared Huffman’s Positions on Key Issues (OnTheIssues.org); “[Huffman Leads] Rally in support of Hugo Mejia on May 15, Immigrants Day” (MarinResists.org, 5-13-2017); “Reps. Huffman and Lee Introduce New Amendments: No Taxpayer Funding for White Nationalist Enablers in the White House” (8-25-2017); “Two Democratic Lawmakers Plan to Deliver National Park Service Trash to White House” (USA Today, 1-8-2019); “Dem Congressman: ‘Bombing Suspect Cesar Sayoc ‘Right out of Central Casting from a Trump Rally’” (Daily Caller, 10-26-2018).